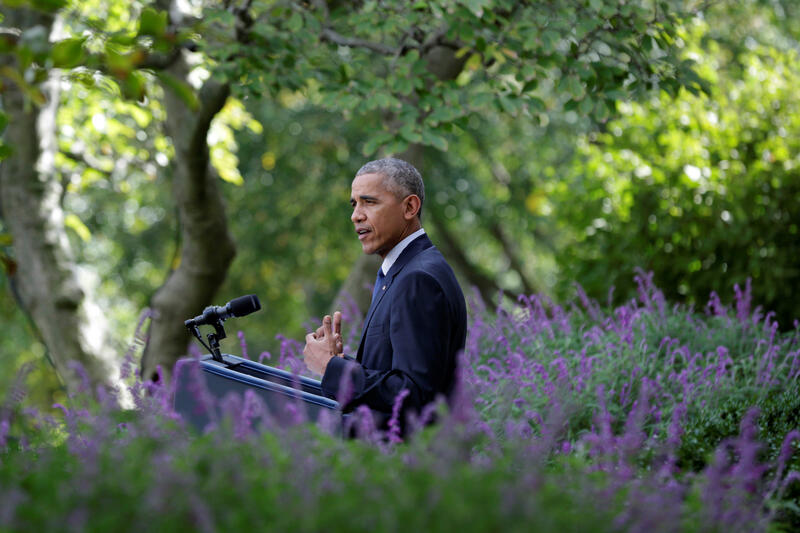 Obama calls Paris Agreement "a turning point for our planet"
Mr. Obama’s speech came the day that the landmark agreement on climate change crossed the threshold to be put into effect—which will now happen in 30 days, on Nov. 4. The deal was designed to take effect once 55 countries accounting for at least 55 percent of global carbon emissions had ratified it. The deal, signed in Paris last April, commits countries to take action to slow rising global temperatures and requires governments to present their plans for reducing emissions. With the addition of Canada, Nepal and seven European Union countries that have now ratified the deal, the agreement has enough countries to take effect—a goal world leaders were hoping to meet before the next United Nations climate conference in Morocco in November. “All of us have to solve it together,” he said. The president spoke about the progress that has already been made in the U.S. to reduce carbon emissions—and touted the fact that those moves did not come with the significant job losses many predicted. Mr. Obama said the Paris Agreement “alone will not solve the climate crisis,” but that it is a major step in the right direction.